When it's comes to foundation primer I don't really use them as I never notice any difference. 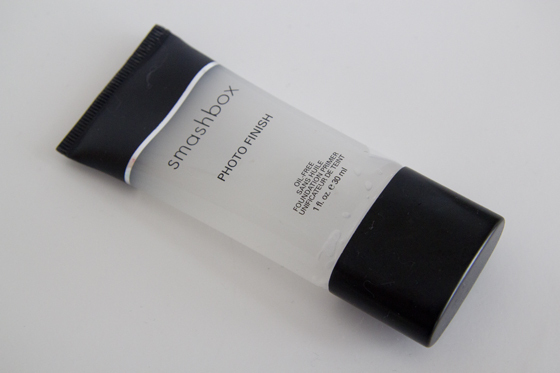 This primer has a nice velvety feeling, this reminds me very much of the Gosh Velvet Touch Primer, I would say it's cheaper alternative of the Smashbox photo finish primer. The product itself is clear, in my opinion it's scent less. Smashbox claims it contains "vitamins A and E, grape seed extract and green tea" so some how it's should have some smell? I love the smell of green tea, so wouldn't mind, but on the other side not many people like scented face products. The primer is very lightweight. Little amount will go long way, I normally apply this on my cheeks, around the eyes and forehead. I did try whole face few times, but I don't really feel like rest of my face need it. The version I have it's oil free. 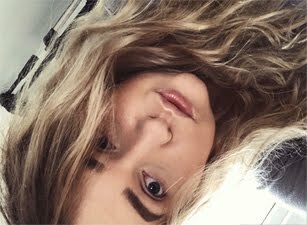 As my cheeks are sometimes a little drier, I love to use the primer before, as my foundation will apply on really smoothly. The negatives, I do like the packaging, but there is one negative about it, there should be written instructions somewhere or and ingredient list and it's also should have symbols at the back. Another negative is that this little baby contains Silicones, which are really bad for are face, as they cause break outs, if you will use it too often. Finding ingredient list for the primer was a task. The Smashbox website doesn't contain the list of ingredients. Although I do like this product, but I will not repurchase just because of the price. As I mention before Gosh Velvet Touch Primer is a great alternative. It's nice to see a review on this as I'm on the lookout for a good primer for prom. I've heard such great things about this but I always try and find a cheaper alternative! I love this primer! It was for sure worth the price! I do agree it should have directions though! I've never really looked at foundation primers but I may have to try the Gosh one! I guess people with sensitive skin must be aware on the silicon content of this product. But the product is gaining unprecedented popularity despite of this. Join the mailing list to always stay up to date. You know you want to. all items marked with a asterisk (*) are , pr samples or gifted items. My reviews will always be 100% honest.